In conversation with ETRealty, Amit Ramani, Founder and CEO of Awfis says with 300 players in the co-working industry, consolidation is bound to happen. Corporate are increasingly opting for co-working industry as they want to be asset-lite and prefer staying away from lock-in periods. According to Ramani, expansion of co-working spaces in tier-II cities will obviously happen because commercial activities in such cities are expanding. NEW DELHI: Awfis has opened a 15,000 sq ft co-working facility in Motia’z Royal Business Park, Zirakpur. The centre has seating capacity of over 300 customers. 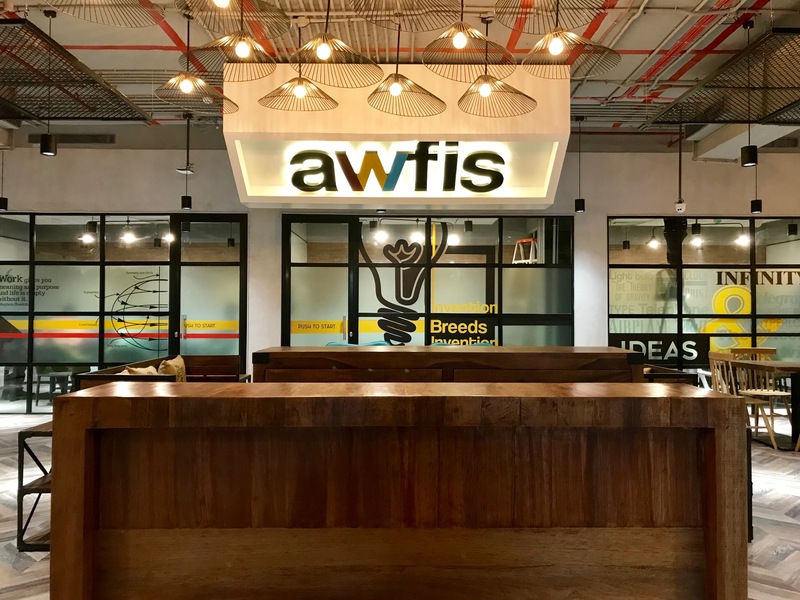 Besides Chandigarh, Awfis also aims to expand to other tier-II cities such as Ahmedabad, Jaipur, Kochi, Indore, and Bhubaneshwar in the next 12 months. Co-working players have bridged the gap between supply and demand mismatch in the past 3 years by providing innovative and affordable solutions to the market. Rising entrepreneurial spirit across the globe in the past two decades has led to disruptive entrants in almost all industries. Their innovative solutions coupled with visions for a dynamic future have transformed lives, cultures and economies. Some big Disruptors of their times are Amazon (1994), Netflix (1997), iPod (2001), YouTube (2005), Uber (2009) and Airbnb (2008). To bring in perspective, one can look at Uber’s journey and the way it brought in lower cost taxi services using a mobile app. Since, its inception the company has completely transformed cab rides making it the new normal. Disruption is at the core of innovation by exploring an industry and discovering a new way that provides an advantage over the current approach– such as–‘shared workspaces’ that are disruptors for the commercial real estate market. A few years ago, co-working laid the foundation as a radical concept thatemerged to disrupt the workspace dynamics in India, and has gained widespread acceptance and success. Co-working players have bridged the gap between supply and demand mismatch in the past 3 years by providing innovative and affordable solutions to the market. Initially, it was only freelancers, budding entrepreneurs, and start-ups with constrained budgets that relied on co-working spaces. 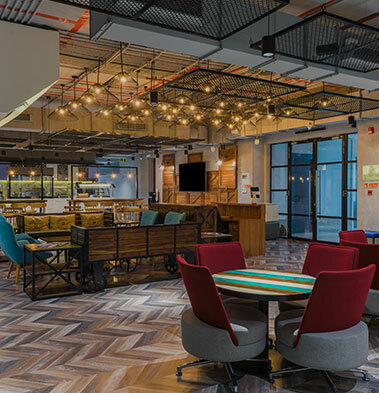 However, with negligible capex requirements, affordable renting options, innovative and collaborative workspace designs, co-working spaces are attracting larger enterprise customers as well. Around 90% of Asia’s top 200 occupiers are considering using shared workspaces while 56% are already using it. This is evidenced by the percentage of deals for 15 desks doubling from 21% in 2015 to 48% in 2017. Even the average lease term of shared workspaces is now over 24 months, exactly double of what it was in 2013. Co-working is now a fundamental part of the CRE leasing activity and a full-fledged sector in its own right, giving tough competition to conventional office spaces. This year by September, Co-working service providers had already absorbed over 10% of the total office space in the top 7 markets in India. (Source: JLL). In the first quarter of 2018 itself, co-working had transacted about 2 million square feet commercial realty; way ahead of the 1.8 million sq ft in2017 (Source: Knight Frank). It is expected to grow 3 times by 2021, leading to massive opportunities for the co-working business in the country. Large corporations have used the workspace as a driver of dynamic and vibrant culture to drive productivity and innovation. The gap in technology and design innovation is being filled by co-working players by providing an array of facilities in the administration domain like access cards, attendance monitoring, invoice systems, app-based bookings, tech savvy meeting rooms. These factors along with the growing demand for Grade A workspaces by SMEs and the rise of entrepreneurial aspirations of Tier 2 cities gave an impetus tothe growth of the co-working segment across the country. Co-working today eases the burden of space logistics, converting a company’s fixed costs into operational costs. The shared workspace as part of the portfolio of large companies is expected to be 20-25% of the overall leased space by 2022. 2019 will prove to be the year of exponential growth for co-working industry with the expected growth to be 4 times – 8 times of the current size of the industry. As the youngest workforce in the world, India is spearheading the co-working revolution; and will shift the workspace dynamics for larger share of the market in 2019 with technology, innovative space design and flexibility driving factors for change. Design will remain at the core while shifting from aesthetics to propelling productivity, creativity and innovation. Distinctive amenities catering to the customised needs of community members and companies will be allocated to further aid productivity. 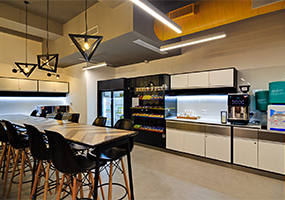 In the past 3 years, co-working has moved from being a peripheral discussion to bea mainstream industry that is driving value for the customers and creating new sources of income for new age businesses. In the coming decade, it is expected to chart the path towards becoming the new normal. Even though the growth story has been incredible, the shared workspace market (including serviced offices, co-working spaces, incubators, accelerators etc.) represent less than 1% of the total world’s office space. A rather unfamiliar concept few years ago, co-working is now one of the fastest-growing sectors of the CRE industry globally. In the past 2-3 years, the industry has not only become a buzzword with all conventional office users considering this as a viable alternative to owning/operating their own workspaces but also grown tremendously to include more than 11,000 shared workspaces around the globe with more than 300 in India alone. While major co-working markets in U.S. and U.K. have moved towards maturity, the demand in Tier-II cities and Emerging markets is gearing towards aggressive growth. Even though the growth story has been incredible, the shared workspace market (including serviced offices, co-working spaces, incubators, accelerators etc.) represent less than 1% of the total world’s office space. (Source: JLL) This makes it important to understand how co-working will play a pivotal role in determining the future of supply-demand dynamics within serviced office industry. With the evolution in workstyle owing to economic, demographic, technological and societal influences, work has gradually become more and more flexible and not tethered to a specific place. The biggest driver is the demand for quality office spaces for SMEs. Currently, the total cost of owning a Grade A office infrastructure is very high as well as the floor plates available are much larger than the actual requirement. As a result, most SMEs end up occupying Tier II building with Grade C infrastructure. This immense latent demand is being tapped by co-working players who are more focussed towards providing a value-driven solution customized for Indian business ecosystem. The current MSME employee base is 128mn and expected to grow to 170mn by CY 2022 (Source: Nasscom). Even if 35% of this base requires office space within Top 10 cities in India, the opportunity for co-working space providers is massive. The Indian Real Estate market is approximately 1 bn square feet and is fragmented across Grade A metro – 48%, Grade B metro – 19%, Grade A,B non-metro – 12% and unorganized -21% (Source: Emkay). Real estate has always been the most sought-after investment opportunity since independence and therefore a large portion of commercial real estate ownership is fragmented and is with HNI’s and smaller players. For these space owners real estate is a non-core business and they primarily rely on capital appreciation. Over the last 10 years once the value of asset stopped appreciating, property taxes and maintenance started to hurt space owners. This problem is unique to India and few emerging markets. Globally, in any developed market, larger developers, asset management companies & property management companies own 70%-90% of the commercial real estate. In India, the space owners belonging to unorganized segment face problems like 1) low yields 2) inability to develop & market properties resulting in vacancies 3) no client touch point for continued engagement and no retention strategy 4) hassles in property management and 5) no risk management against cyclical downturns 6) limited ability to straight sell the larger floor plate. Because of fragmented nature, these opportunities are also not well mapped by professional property management and RE consulting firms. The real opportunity for co-working space providers lies in aggregating this supply and bringing this closer to demand. Partnership with co-working players results in a win-win scenario for space owners. Co-working players get to acquire supply in most efficient way which makes the model risk-averse and asset-light to a large extent. For space owners they not only get occupancy for their space but also an opportunity to share upside of the co-working business model.